thehumanraindelay | Grounders, gopher balls, and dingers. Tales from a casual baseball fan. I’m not going to waste any time here and I’m not going to beat around the bush. This is basic statistics and my thoughts on who will win. Nothing more and nothing less. So, let’s get to it. Orioles first baseman Steve Pearce enjoyed a breakout season this year mashing 21 homeruns and 49 RBIs with a slash line of .293/.373/.556. Pearce was a respectable five for five on stolen base attempts and he displayed excellence with the glove committing only one error all season long while playing multiple positions. That error was committed at first base, however. Eric Hosmer, on the other hand, regressed a little from last season to this season, but it based on his short career it looks like this season is the norm and last season was the exception. With a slash line of .270/.318/.398 he didn’t display as much power as he has throughout his career hitting only 9 homeruns with 58 RBIs. He was 4 for 6 on the base paths. The defending gold glove award winner committed 10 errors at first base this season. Rookie Jonathan Schoop had an under-the-radar season for the Orioles displaying an arm that is probably the strongest in all of baseball at second base and amazing skill with the leather. Schoop did commit seven errors in 551 chances at second base this season, but the majority of those errors were at the beginning of the season while he was still trying to get comfortable. Schoop is built like an NFL linebacker and is a threat go deep at any time, hitting 16 homeruns this season and 45 RBIs with a batting line of .209/.244/.354. Not much of a threat to steal he was two for two this season. Omar Infante is a crafty veteran that is good in all aspects of the game. He is somewhat inconsistent at the plate with a batting line of .252/.295/.337. He hit 6 homeruns with 66 RBIs and was surprisingly inactive on the base paths this season stealing only nine bases on 12 attempts. Infante committed 11 errors in 502 chances, which is the second most he has had in a season since 2004. With another knee injury to Manny Machado and the 25-game suspension of Chris Davis for using Adderall the Orioles are forced to thrust much maligned player Ryan Flaherty into the starting role at third base. Many Orioles fans despise Flaherty and believe that he belongs in the minor leagues. I think those people don’t know anything about baseball and are completely wrong. In the 2014 season Flaherty played six positions for the Orioles committing a total of 10 errors, five of them coming at third base. Sure, his batting line of .221/.288/.356 won’t win any MVP awards, but he did manage to club 7 homeruns and 32 RBIs in just 281 Plate Appearances and was one for one in the stolen base department. His 68 strikeouts are definitely a cause for concern, but as seen in the Detroit series, Flaherty’s glove can win you some games. Mike Moustakas is an equally frustrating player, yet for some reason he is considered one of the top up-and-coming players in baseball. I didn’t see that potential this season as he hit just .212/.271/.361 with 15 homeruns and 54 RBIs in 500 Plate Appearances. Moustakas won’t strikeout as much as Flaherty, but at the plate I don’t see much difference between the two left-handed batters. The biggest difference comes in the field where Moustakas is an error machine. He committed 19 errors this season at third base, which is an atrocious number. Surprisingly, it was still just the third most in baseball. The shortstop battle between these two teams is a microcosm of the overall battle. This matchup is all about power vs speed. Sure, J.J. Hardy’s homerun total this season was his lowest in five years, but every pitcher that he faces still has to respect the fact that he has 20-plus homerun potential. Hardy had a sub-par year at the plate batting just .268/.309/.372 with just nine homeruns and 52 RBIs. Even though every time I see J.J. Hardy throw the ball to first base it looks like his mechanics are all out of whack and the ball will go sailing into the stands he somehow manages to get the ball accurately to first base at an exceptional rate. Hardy did commit 13 errors in 594 chances this season, however, which was the most he had since 2008 when he was still with Milwaukee. Alcides Escobar has a quietly strong season for the Royals playing in all 162 games. Escobar displayed amazing speed this season stealing 31 bases on 37 attempts. He managed a .284/.317/.377 batting line with three homeruns and 50 RBIs while batting at the top of the Kansas City lineup. His defense was above average, though he did commit 16 errors in 669 chances. Another major injury for the Orioles occurred at catcher this season. Matt Wieters went down with an elbow injury in May and went through Tommy John surgery later in the season. Nick Hundley and Caleb Joseph have been sharing the catching duties. Neither are exceptional with the bat, while Hundley struggles to keep base runners in check. Caleb Joseph is one of the best in the league at throwing out would-be base stealers, which will be something that will likely come into play quite often in the ALCS. The Royals will go primarily with two-time All Star catcher Salvador Perez during the ALCS. Perez is strong with the bat and the glove. He gives the Royals a decided edge at catcher. His 30% caught stealing rate is now very good for an All Star catcher, but luckily for him the Orioles are not overly concerned with trying to steal bases. The Orioles play with a platoon of Alejandro De Aza, David Lough, Delmon Young, and Nelson Cruz in left field. Buck usually goes with the player that has the hottest bat or the best numbers against the starter of the day, but we all know that Alejandro De Aza is the best choice in left field on a day to day basis. De Aza spent the majority of his season playing uninspired baseball for the Chicago White Sox before being traded to Baltimore in late August. For the season De Aza batted .252/.314/.386 with eight homeruns, 41 RBI, and 56 runs scored with 17 stolen bases on 27 attempts. De Aza had six outfield assists on the season. Alex Gordon is probably the best player on the Royals roster. He can do it all. He hits homeruns (19), he steals bases (12 for 15), and he plays Gold Glove defense (eight outfield assists). He hit .266/.351/.432 with 74 RBI and 87 runs scored. Gordon will strikeout a lot, but he will also play the hero quite often as well. Just as Alex Gordon is likely the best player for Kansas City, Adam Jones is likely the best player for Baltimore. If there is a model for consistency Jones is it. His line this season is nearly identical to his line from the previous five seasons. In 2014 Jones batted .281/.311/.469 with 29 homeruns, 96 RBI, and 88 runs scored. Asking Jones to take a walk instead of swinging for the fences every time is like pulling teeth. He walked just 19 times this season but struck out 133 times. Jones is fast but not a particularly skilled base stealer. He plays excellent defense and is probably the best in baseball at tracking fly balls in center field. Cain is another top-tier player in the Royals outfield. He has the speed to get to any ball hit in the gap and gets on base with relative ease. Once he is on base he can terrorize a pitcher with his 28 stolen bases on 33 attempts. Cain slashed a solid .301/.339/.412 with 5 homeruns, 53 RBI, and 55 runs scored. Most people will recognize Adam Jones, but Lorenzo Cain will make a name for himself in this series. Nick Markakis is not your prototypical leadoff hitter. He isn’t particularly fast, and his batting average is just that, average. But Markakis does all of the things you want a leadoff hitter to do. He sees a lot of pitches and he gets on base. Markakis batted .276/.342/.386 with 14 homeruns, 50 RBI, and 81 runs scored. He walked a respectable 62 times compared to just 84 strikeouts. His arm in right field is one of the strongest in baseball and he continues to play Gold Glove caliber defense in his ninth season. Kansas City right fielder Nori Aoki is almost like a poor man’s Ichiro. He looks like Ichiro in the batter’s box. He attempts slap hits similar to Ichiro. He even plays like Ichiro in right field. But he’s just not Ichiro. He is still a very solid player however. In 132 games this season Aoki batted .285/.349/.360 with just one homerun, 43 RBI, and 63 runs scored. Speed is Aoki’s game. He stole 17 bases on 25 attempts this season. This one isn’t even close. Nelson Cruz led the Majors in homeruns with 40. Billy Butler came in with a lame nine homeruns. Nelson Cruz led the Orioles with 108 RBI. Billy Butler finished with a weak 66 RBI. Nelson Cruz scored 87 runs. Billy Butler scored 57. Nelson Cruz stole four bases on nine attempts. Billy Butler didn’t even try. I don’t think I need to go on any more. I’m not going to go into depth on each individual starter. I just want to take a quick glance the four probably starters that will be used in the ALCS for each team, and how their statistics come together overall. The Orioles four starters of Tillman, Chen, Gonzalez, and Norris combined for a season ERA of 3.44 with a WHIP of 1.24 and K/9 of 6.75. The Royals four starters of Shields, Ventura, Vargas, and Guthrie have a combined ERA of 3.57 with a 1.26 WHIP, and a 6.64 K/9. However, the Royals first three starters have a slight edge over the Orioles first three starters. The difference is Guthrie, whose 4.13 ERA, 1.30 WHIP, and 5.51 K/9 throw off the rest of the rotations numbers. My guess is that Ned Yost goes with a three-man rotation in the ALCS, or he uses Danny Duffy as his fourth starter over Guthrie. Duffy had a perfect game through six innings back in May against the Orioles, and the Orioles couldn’t do anything against Yordano Ventura. These are probably the two best bullpens in all of baseball. Kansas City’s top four relievers (not counting closer) combined for a 2.02 ERA with a 1.06 WHIP. Baltimore’s top relievers combined for a 2.30 ERA with a 0.94 WHIP. Kansas City has more strikeout pitchers than Baltimore by a long shot. Baltimore has a secret weapon in Kevin Gausman who really came through for them in the ALDS when Wei Yin Chen was unable to get through the 4th inning. Since the All Star break Baltimore’s bullpen has really stepped it up and has dominated opposing batters. But so has Kansas City’s bullpen. This is perhaps the best matchup in the series. Whose bullpen can keep the lead? Two of the best closers in the game are going at it in this one. Zach Britton of the Orioles has been a huge surprise this season with 37 saves. He didn’t earn the closer position until over a month into the season when Tommy Hunter just didn’t work out in that position. Greg Holland is just scary good. With 46 saves this season, it was Holland’s second consecutive 45+ save season. Holland is a power pitcher that has the ability to strike out the side every time he comes out. The Royals season ended and just two days later they were playing in a wild card game against Oakland. After winning that game they had a quick turnaround in Anaheim to play the Angels. In baseball it’s easy to stay on top of your game when you play consistently and on a daily basis. After sweeping the Angels the Royals now have a four day layoff before travelling to Baltimore to open the ALCS against the Orioles. The Orioles have already been through the four day layoff, having dealt with the down time just last week prior to opening the ALDS against Detroit. The first couple of games in this ALCS series could be determined by whether or not the teams are ready to play. Buck Showalter has proven that he knows how to get his guys ready to play after a long time between games. Ned Yost hasn’t had to deal with this down time yet. Yost is also somewhat unconventional when it comes to in-game decision making and is often criticized for not have a good feeling for the flow of the game. Showalter is just the opposite. Often praised for being perhaps the best in-game manager in baseball, Buck seems to have a great understanding of flow of the game and it seems like almost every decision he makes works to his benefit. The difference in managing ability could be the difference in the series. With both franchises not having any success for over a decade (or two) both teams fan bases are wild and hungry for a trip to the World Series. The crowds in both stadiums will be loud and into every pitch of every game. The Orioles have more experience in the playoffs, but at this point I don’t think that even matters. Both teams want to win, and they both want to win BAD. This is a matchup of power vs speed. The Orioles can strike at any time with the long ball, but as we saw in the Wild Card game against Oakland the Royals can really give a team fits on the base paths. The Orioles have a slight edge in defense and the Royals have a slight edge in pitching. These two teams matchup together almost perfectly. I have to give the edge to the Orioles just because of Buck Showalter and his ability to manipulate the game to his advantage. Obviously these numbers are incredibly similar. They may even slightly favor Player B. Which player is which real life person? With the exception of homeruns allowed, and ERA+ Mussina appears to come out as a slightly better pitcher than Palmer. But obviously these statistics don’t tell the whole story. What happens to Mussina’s Hall of Fame case when we bring in other determining statistics? Mussina has a significant advantage in WAR, but falls noticeably short in the remaining categories. Mussina never won a Cy Young award, though he probably deserved at least one, but he was as consistent and excellent a pitcher over an 18 year span as any pitcher in the history of the league. He was not just a consistently outstanding pitcher, but he was also stellar at fielding his position, as evidenced by the six Gold Glove Awards he earned during his career. He has comparable numbers to other Hall of Fame pitchers, but there is really nothing about his career that jumps out at you other than his consistency. *The 1920 Chicago White Sox were the first. **I will give a virtual cookie to the first person that can name the other three pitchers in that great Orioles rotation in the comments section. At age 18 Jim Palmer became the youngest pitcher ever to pitch a shutout in the World Series. He won a game in the 1966, 1970, 1971, and 1983 Fall Classics, becoming the only pitcher to win a World Series game in three different decades. Speaking of eye-popping statistics, Palmer started 521 games, completing 211 of them, with a total of 3,948 innings pitched, yet he never allowed a grand slam in his Major League career nor did he ever allow back-to-back homers. In order to have one of the strongest rotations in the history of the game you must have a strong left-hander in your rotation. The great rotation of the Atlanta Braves featured Hall of Famer Greg Maddux and John Smoltz, but the lefty that split the two righty’s up was none other Hall of Famer Tom Glavine. The Atlanta Braves of the 1990’s were both one of the winningest teams in baseball history and one of the most disappointing teams in baseball history. Between 1991 and 2002 the Braves won 11 division titles and five pennants, but only managed one World Championship. Sure, most franchises would kill for that kind of success, but I think the Braves would have liked to have won more than one World Series. The 1995 Series was the only series the Braves came away with a victory in. Glavine won Game Two and in Game Six he pitched a brilliant one hit game over eight innings to clinch the title for his team. He was named World Series Most Valuable Player for his effort. Glavine won 20 games in a season five times, and 305 for his career. He joins Warren Spahn and Early Wynn as the only two pitchers to accumulate over 300 career victories despite never striking out more than 200 batters in a season. 1998 was arguably Glavine’s best season. He posted a 2.74 ERA, led the National League with 20 wins and tossed three complete game shutouts on his way to winning his second Cy Young Award. During that ’98 season the National League average ERA was 4.21, which meant that Glavine’s ERA that season was 1.68 runs lower than the league average. 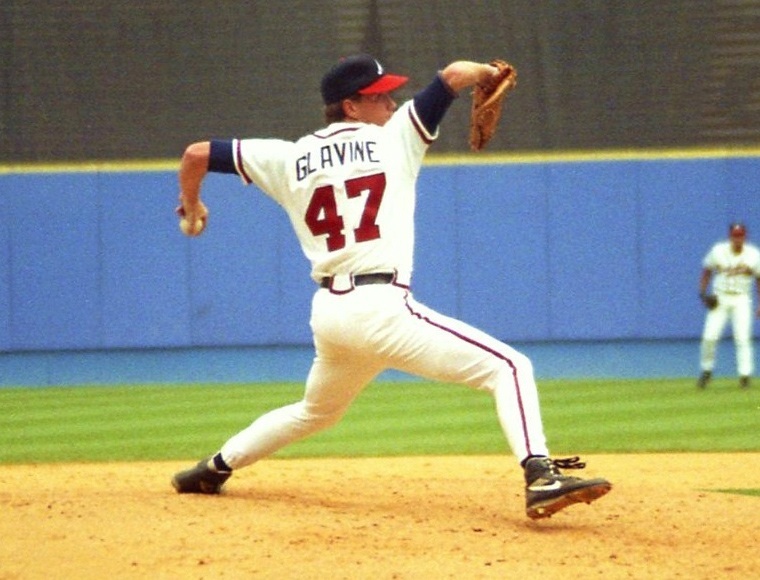 Glavine won 164 games in the 1990’s, second only to teammate Greg Maddux’s 176. Some players need a clever story to justify their ranking. Some players need to be compared to other great players to justify their ranking. Paul Molitor can just let his stats speak for themselves. Sure, he was one of the most versatile players in the history of the game, and displayed great savvy at the plate and on the basepaths. But, the real story comes from the amazing statistics he compiled throughout his 21 year career. Paul Molitor is one of only four players along with Ty Cobb, Honus Wagner, and Eddie Collins to have a .300 average, 3,000 hits, and 500 stolen bases. Molitor’s 3,000th hit was a triple, making him the only person in history to get his 3,000th with a three-base hit. They say that athletes aren’t role models. They say that the parents should be the role models. Work hard. Be honest. Become a better person. Set a good example. What if the athlete exemplifies these characteristics? What if the athlete is Cal Ripken Jr.? When Cal’s streak of 2,632 consecutive games played began on May 30, 1982 I was barely older than one year. On September 6, 1995 he played in his 2,131st consecutive game, the game that broke Lou Gehrig’s 56 year old record and practically saved baseball from disaster after the 1994 player strike, I was 14 years old and about to start my first day of high school. When Cal voluntarily ended his consecutive games streak on the evening of September 20, 1998 I was 17 years old and just beginning my senior year of high school. I remember watching Cal slug 34 homeruns in the 1991 season while batting .323. He was unstoppable that year. My younger brother and I would go to the ball field and take turns hitting, pretending that we were Cal Ripken with every swing. How could you not look up to a guy that hit 431 career homeruns and 1,695 RBI while primarily playing a position that was relegated to the small guy that could do nothing but maybe steal bases? Was he a truly great person off the field? I don’t know. I was only lucky enough to meet him once in an incredibly brief encounter. But, what he accomplished on the field by playing every single game for over 16 years was certainly worthy of role model status, and I am proud to have had someone like Cal Ripken Jr. to look up to as a child growing up in the Baltimore area. When Miguel Cabrera’s career began on June 20, 2003 he didn’t just quietly walk on to a Major League field and gradually work his up to greatness. No. When Miguel Cabrera came to the Show he knocked down the door with an emphatic bang, spray painted his name all over the record books, and declared his greatness in his first game by becoming just the third player in Major League history to smack a game-winning homerun in his big-league debut. The other two were Josh Bard in 2002 and Billy Parker in 1971. While those two players slinked back into obscurity, Miguel Cabrera’s star continued to soar. Miggy is currently playing in his age-31 season. He has 382 homeruns (at the time of this writing), which ranks 11th through age 31. That is more homeruns than Willie Mays (368) had through his age 31 season, but fewer than Juan Gonzalez (397). He is fifth in RBI’s (1,346) behind only Lou Gehrig (1,450), Mel Ott (1,465), Alex Rodriguez (1,503), and Jimmie Foxx (1,625). Miguel’s seven-consecutive 30-homer seasons are a Detroit record, destroying the previous record of four shared by Hank Greenberg and Cecil Fielder. With a .330 batting average, 44 homers, and 139 RBI in 2012 he became the first person to win the elusive Triple Crown since Carl Yastrzemski did it 45 years earlier in 1967. Only five players reached 1,000 RBI’s for their career at an younger age than Miguel Cabrera, who was 29 years, 9 days old when he achieved the marvelous feat. Mel Ott was the youngest at 27 years, 94 days, followed by Jimmie Foxx at 27 years, 229 days; Alex Rodriguez at 28 years, 282 days; Ken Griffey Jr. at 28 years, 298 days; and Lou Gehrig at 28 years, 302 days. With 1,346 career RBI’s to date Miguel Cabrera has a legitimate shot to break Hank Aaron’s career RBI record. He is currently trailing by just 951 RBI’s. Not counting his rookie season in which he barely played half of the games Cabrera is averaging 117 RBI’s per season. If he maintains that average pace he will break Aaron’s record in his age-39 season. If his production drops off by 17 RBI’s per season than he will break the record at the very beginning of his age 41 season. Whether or not his body will hold up for that long remains to be seen. But what we know now about Miguel Cabrera is that he belongs in the conversation with the elite hitters in the history of the game, and I’m sure when I revise this list in 10 years I will find Miguel Cabrera has crept his way into the top-50 of the all-time greatest MLB players. 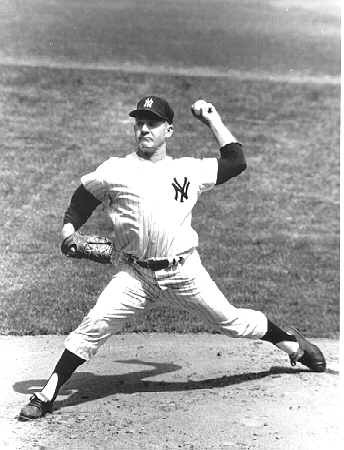 Using of a mix of changeups, curveballs, and fastballs with pinpoint control Whitey Ford was able to pitch to 236 career wins, a Yankees franchise record. His 236-106 record gives him the best winning percentage (.690) of any 20th century pitcher. Whitey Ford was known as the “Chairman of the Board” for his ability to stay cool, calm, and collected in big game situations. Mickey Mantle once said he had “Nerves of Steel”. Ford pitched in 11 World Series for the Yankees with 10 victories, 94 strikeouts, six championships, and one World Series MVP. Between the 1958, 1960, and 1961World Series Ford pitched 33 consecutive scoreless innings. The worst ERA of Ford’s career was 3.24 in 1965. He ended his career with a 2.75 ERA, 45 shutouts, 156 complete games, 1,956 strikeouts, and the 1961 American League Cy Young Award. Bob Feller probably deserves to be higher on this list than number 74, but the way the research was conducted and the way the list was compiled forced me to place him here. Unfortunately, this is where he is for this exercise. But before we talk about why Feller deserves to be ranked higher on the list let’s talk about what he actually accomplished. “Rapid” Robert Feller won 266 games and lost only 162 while playing 16 seasons for the Cleveland Indians. In his rookie season, at the age of 19, he won 17 games. He followed that up with 24 wins his next year. Feller won 20 games or more in a season six times and led the American League in wins each of those seasons. He led the American League in strikeouts seven times and struck out 348 batters in 1948, which was an American League record* until Nolan Ryan struck out 383 in 1972. *The National League record is 441 strikeouts by Old Hoss Radbourn in 1884. This record still stands to this day, and will likely never be broken. The modern day National League record (post-1901) is 382 by Sandy Koufax in 1965. 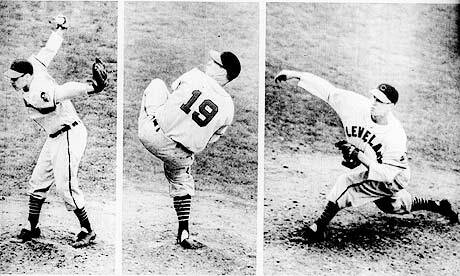 Feller threw three career no-hitters and 12 career one-hitters. He remains the only person to throw a complete game no-hitter on Opening Day, which he accomplished on April 16, 1940. In 1941, at the age of 23, Feller enlisted in the Navy. He had 107 career wins at this time and missed three full seasons and almost all of a fourth season before returning from the war. In his first two full seasons back he won 26 and 20 games respectively. Now, this is where I want to speculate how good Bob Feller would have looked in the history books had he not joined the armed services. The way that I do this is I take the average of the three seasons before he left for war, and the average of the three full seasons after he came back from war, and take the average of those figures and multiply by the years he missed to come up with a rough estimate of what his career numbers could have been if it were not interrupted by military service. I will perform this same exercise for other players who missed prime years in their baseball careers due to the war. In the three years prior to his military service Feller averaged 25 wins, 11 losses, a 2.88 ERA, 28 complete games, five shutouts, and 256 strikeouts per season. In the three full seasons following the war he averaged 22 wins, 14 losses, a 2.75 ERA, 25 complete games, 6 shutouts, and 236 strikeouts per season. After doing some math we come up with a rough idea of what his career numbers would have been. I come up with approximately 337 wins, 200 losses, 2.96 career ERA, 297 complete games, 61 shutouts, and 3,319 career strikeouts. 337 career wins would rank him between Steve Carlton (329) and Roger Clemens (354). A 2.96 ERA would jump him significantly higher on the ERA list and would put him right there with Hall of Famer Kid Nichols (2.96 ERA). 297 complete games bumps him slightly higher on the CG list to just below Lefty Grove (298). 61 shutouts would tie him with Nolan Ryan and Tom Seaver for seventh all-time. 3,319 strikeouts would jump him from 26th all-time all the way up to 12th all-time, just behind Greg Maddux (3,371) and Phil Niekro (3,342). *Spoiler Alert* – All of the pitchers listed in the above paragraph are ranked higher than Bob Feller on this list. 266 wins, 162 losses, 3.25 ERA, 279 complete games, 44 shutouts, and 2,581 strikeouts. All told, these are still phenomenal numbers. Sometimes the trick to being one of the greatest players of all time is to be consistent for a very long time. Sure, having a season in which you slash .390/.454/.664 at the plate and win an MVP award, as George Brett did in 1980, doesn’t hurt. But what separates the truly great from the flashes of great is consistency and longevity. George Brett batted .333 in 1976, .390 in 1980, and .329 in 1990. He led the league in batting average all three of those seasons, making him the only man to win a batting title in three different decades. He retired after the 1993 season with a lifetime batting average of .305. On May 28, 1979 Brett hit for the cycle. He did it again on July 25, 1990. 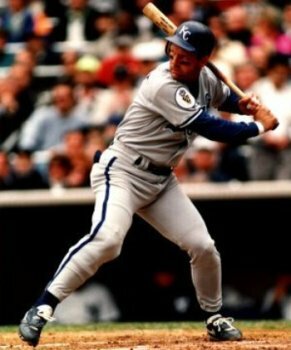 George Brett holds the Major League record for longest times between cycles at 11 years, 57 days. George Brett became the first player in history to accumulate 3,000 hits, 300 home runs, 600 doubles, 100 triples, 1,500 RBIs, and 200 stolen bases. He joins Hank Aaron, Willie Mays, and Stan Musial as the only players to have 3,000+ hits, 300+ home runs, and a .300+ batting average. George Brett was one of the greatest hitters in the history of the game. Not just for one season, but consistently for 21 seasons. The thing that I like most about the old-timey players from the late 19th-century is that they have no shortage of impropriety. Oftentimes their life of debauchery has a tragic, yet fascinating end. Ed Delahanty’s life is the epitome of late 19th-century degeneracy and misconduct. “Big Ed”, as he was affectionately known, wasted his fortune gambling on horses, racking up large debts and turning to booze. He was a belligerent drunk that terrorized anyone that got too close during one of his binges. When his debts became too large he would beg his teammates for money and threaten to kill himself if they didn’t help him out. Fearing for his safety, several of Ed’s teammates felt it necessary to keep a close watch on him at the team hotel, but Delahanty chased them away with a knife. Delahanty had joined the Washington Senators before the 1902 season, but with no star players other than himself he became disgruntled with the losing team and attempted numerous times, unsuccessfully, to jump ship and join the New York Giants. Delahanty’s final attempt to join the New York club proved to be fateful. During a Senators road trip to Detroit Delahanty decided he was going to make one last attempt at fleeing the lowly Senators and boarded a train headed for New York by way of Ontario, Canada. Once on the train Big Ed downed five shots of whiskey. The liquor made him uncontrollable. He was smoking when he wasn’t supposed to. He accidentally broke the glass in front of the emergency tool cabinet. He was so disoriented that he entered an occupied berth and began to pull a woman out of the berth by her ankles. Delahanty had to be subdued by three men, and was subsequently thrown off the train by the conductor. Drunk and disoriented, Big Ed began to walk the length of the 3,600 foot long International Railway Bridge that crossed over the Niagara River into Buffalo. Sam Kingston, a night watchman on the lookout for smugglers approached Delahanty. The two fought each other until Kingston was knocked down and unable to get back up. Delahanty managed to escape the fracas. Moments later Delahanty either jumped or drunkenly stumbled off the edge of the bridge, falling 25 feet into the 40-foot-deep Niagara River. Delahanty’s body was found almost a week later, naked except for tie, shoes and socks, at Horseshoe Falls. Delahanty’s relatives believed that Kingston murdered the great baseball player, but no the ensuing investigation never turned up such evidence. Delahanty’s tragic death could have been the result of foul play, or it could have been a drunken bad decision that proved to have disastrous results. As engrossing as the story of Ed Delahanty’s death is, the story of his playing career is no different. In just over 15 seasons Ed Delahanty batted .346 (6th all-time). He hit .410 in 1899. In 1893 he had 146 RBIs on his way to 1,466 for his career. In 1895 he scored 149 runs on his way to 1,600 for his career. In 1899 Delahanty hit 55 doubles, breaking the previous record for my doubles in a season set by Tip O’Neill. 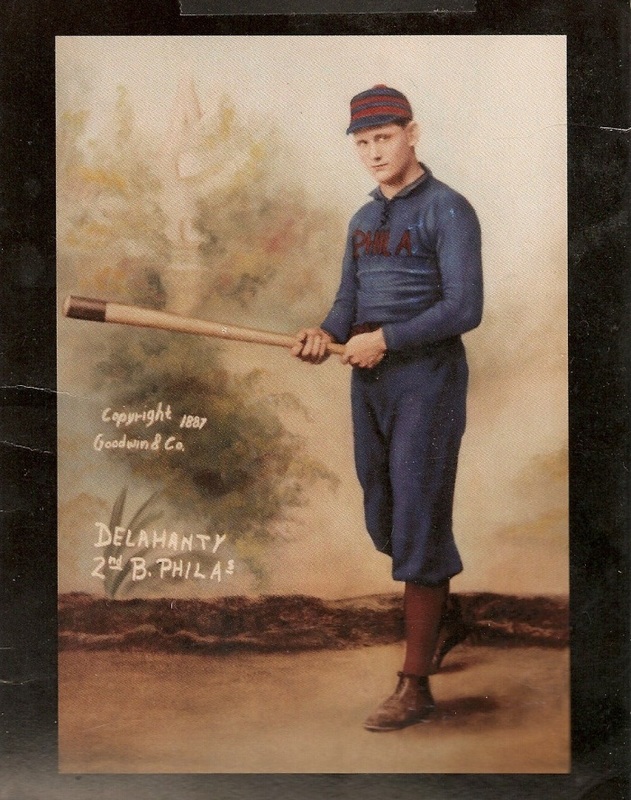 Delahanty was easily baseball’s best player from 1890 to 1899. He ranked first in Hits, Doubles (leading by 102), Slugging Percentage, On Base Plus Slugging, OPS+, Extra Base Hits (leading by 104), and Total Bases (leading by 184). He ranked second for the decade in Triples, Home Runs*, and RBI. He was third in Runs Scored, fourth in Batting Average, ninth in On Base Percentage, and 13th in Stolen Bases. *While playing for the Phillies in 1896 he once hit four inside the park homeruns in one game. A remarkable playing career poisoned by the vices of gambling and alcohol with a terribly tragic and unfortunate ending. It sounds like a story born in Hollywood, but it is actually the regrettable, yet extraordinary life and death of the great Ed Delahanty. Bob Gibson was another player who could have starred in multiple sports. He was a star basketball player for Creighton University and went on to play one season with the Harlem Globetrotters during the 1957-58 season. When Gibson came to the Major Leagues he wasn’t great at first. He had a 3.81 ERA through his first three seasons, but pitched to a losing record before finally breaking out in 1962. Once Gibson obtained his confidence he became an intimidating force for the Cardinals known for coming up big in big games. In the 1964 World Series Gibson won games five and seven. In the 1967 World Series Gibson won all three games in which he pitched, and in 1968 he won games one and four, making him the only player to win seven straight World Series starts. He earned the World Series MVP in both 1964 and 1967. Pitching quickly and utilizing a fastball that would break a radar gun with a hard-breaking slider that left batters swinging wildly at air Gibson struck out 3,117 batters and ranks second in the National League, behind only Tom Seaver, with nine seasons of 200 or more strikeouts. In 1968 Gibson pitched to a 1.12 ERA with 22 wins, 13 complete game shutouts, and 268 strikeouts. He won his fourth of nine consecutive Gold Glove Awards. He won his first of two Cy Young Awards and was the National League Most Valuable Player. Gibson won 20 games five teams, retiring with 251 wins, a 2.91 ERA, 56 shutouts, and 3,117 strikeouts. He was elected to the Hall of Fame in 1981. Every Friday I will post a Fun Fact for your enjoyment. These will usually consist of some kind of trivia that you can use to impress the ladies. If you like consistency and symmetry than you need to look no further than Ichiro. He is the model for consistency and symmetry in baseball. Every Friday I will post a Fun Fact for your enjoyment. These will usually consist of some kind of trivia that you can use to impress the ladies. Check back every Friday for your weekly Friday Fun Fact. Last Friday night the Baltimore Orioles celebrated their 60th season in Baltimore with a moving tribute to great Orioles players and seasons of the past and present. The start of the Orioles franchise wasn’t exactly a bright one. The St. Louis Browns moved to Baltimore to become the Orioles in 1954. The Browns spent 51 years in St. Louis from 1901 to 1953. In those 51 years the Browns enjoyed only 12 seasons with a winning record. In 1939 the Browns suffered through a 43-111 season, still the worst record in franchise history. They were able to participate in one World Series in 1944 against the St. Louis Cardinals. 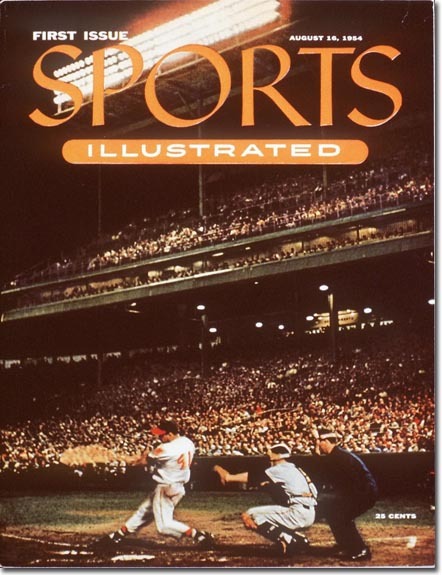 This remains the only World Series to be played in just one ballpark, St. Louis’ Sportsman’s Park. The Cardinals won that Series in six games. On this day, August 15, 1954, the Orioles lost their 27th consecutive game as the visiting team in Cleveland with a 3-1 nightcap loss to the Indians. The record losing streak on the road against one opponent started on August 13, 1952 when the franchise played as the St. Louis Browns. Also on this day in 1955, back at Sportsman’s Park in St. Louis, Braves starting pitcher Warren Spahn hits a home run and a triple in his 12-1 complete-game victory over the Cardinals. The crafty left-hander, who ended up hitting 35 homers in his 21-year career, has now homered in every National League stadium. Should Edgar Martinez be in the Hall of Fame? For that matter, should a Designated Hitter be in the Hall of Fame? The first question is harder to answer than the second, so we will answer the second question first. Yes, a Designated Hitter should be in the Hall of Fame. 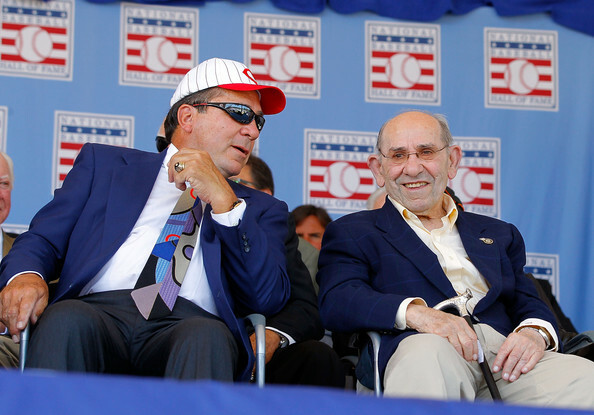 As a matter of fact, there already are Designated Hitters in the Hall of Fame. Frank Thomas and Paul Molitor had more career at-bats at DH than they did playing a position in the field, but *Spoiler Alert* we will get to them a little later in the list. As far as Edgar Martinez is concerned, he has a good case. Martinez, or “Gar” as some called him, was a line drive machine. He wasn’t a large man. He was surprisingly normal in stature, but when Gar hit one of those famous line drives to the gap the ball would scream. 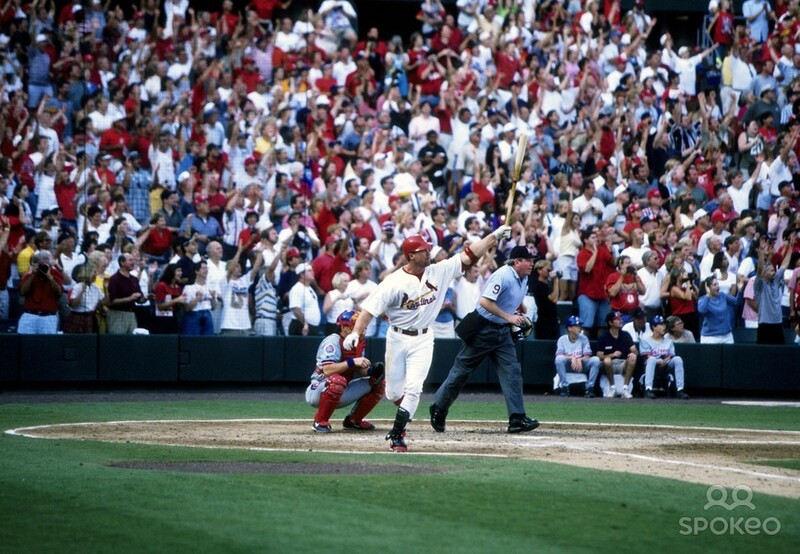 He led the league in doubles twice and won two batting titles, hitting .343 in 1992 and .356 in 1995. He drove in 145 runs in 2000, the same season he hit a career high 37 homeruns. Martinez also led the American League in OBP three times thanks to his super human batting eye. He had more career walks (1,283) than strikeouts (1,202), which was almost unheard of in the era of small ballparks, juiced balls, and juiced players. Martinez’s career began at third base before he became a full time DH due to an overwhelming lack of defensive ability and a hamstring injury in 1993. He committed 78 errors in 564 games (.946 fielding percentage) and posted a -9.7 dWAR according to baseball-reference.com. But even with his obvious defensive shortcomings, Martinez earned a 68.3 WAR which is good for 75th all-time among position players. Let’s not forget that WAR carries a defensive component with it. So, that means that Edgar Martinez, who was atrocious in the field and played the majority of his games as a Designated Hitter, is still the 75th best position player all-time according to WAR. That just speaks volumes to the value his bat added to the Mariners offense. Should Edgar Martinez be in the Hall of Fame? Some players are born with the talent to hit a little white ball travelling at high rates of speed with a wooden stick, and some players have to work for that ability. It’s amazing that something so difficult can be made to look so easy by some. Robin Yount is one of those people with natural ability. Robin Yount was born to be a baseball player. Yount was called up to the big leagues as an 18-year-old shortstop with the Milwaukee Brewers. He still remains the last 18-year-old to hit a homerun in the majors, and he broke Mel Ott’s 47-year-old record for most games played in the major leagues before turning 20. Yount spent 20 years in Milwaukee, but his 1982 season was one of those legendary seasons that seem more like fiction than fact. He batted .331 with 29 homers, 129 runs scored, and drove in 114 runs. All career highs. He led the league in hits (210), doubles (46), total bases (367), and slugging percentage (.578). Defensively he led all American League shortstops with 489 assists, and along with second baseman Jim Gantner he led the majors in double plays. 1982 saw Yount win his first of two MVP awards*, and his only Gold Glove. Had he had knocked a base hit in his final at-bat of the season instead of being plunked by Orioles reliever Dennis Martinez he would have also won the batting title that year as well. *Yount won his second MVP in 1989 as a full-time outfielder, making him only the third player to win MVPs at two positions, joining Hank Greenberg and Stan Musial. Alex Rodriguez would be the fourth player to join this group in 2005. Yount finished his career with 3,142 hits, 251 homeruns, 271 stolen bases, 583 doubles, a .285 batting average, and a .430 On Base Percentage. He was a 3-time All Star, and was a first-ballot Hall of Famer in 1999 receiving 77.5% of the vote. For people my age our cognitive baseball memory extends only to the early 1990’s. Maybe the late 80’s at most. So, when it comes to players whose careers were before our lifetime our only inputs into those players’ abilities are stories from others. When I got to Willie McCovey I realized that I really didn’t know much about the man. I know that there is a cove named after him that mammoth homeruns get dunked into at AT&T Park in San Francisco. I know that he is a member of the 500 homerun club, and a member of the Baseball Hall of Fame. That’s it. Since the extent of my Willie McCovey knowledge is narrow I decided to turn to google to find out more about who he was and what made him so special. After hours of searching and reading I could only find one word that could appropriately describe Willie McCovey. Willie McCovey was the most feared hitter of his generation. Pitchers and managers were afraid to pitch to him because if they did he would “ruin the baseball,” according to Reds manager Sparky Anderson. Infielders always took a step back when McCovey stepped into the batter’s box. Edgar Martinez may have made a career hitting screaming line drives, but Willie McCovey invented them. He hit the ball so hard that even fans were in danger of a McCovey foul ball impaling them. In 1959, appearing in just 52 games, McCovey hit .354 with 13 homeruns, 38 RBI, and a 1.085 OPS on his way to winning the National League Rookie of the Year Award. The three seasons from 1968 to 1970 were arguably his best. Over those three years McCovey averaged 40 homeruns per season, 119 RBI, a .300 batting average, and a 1.028 OPS, while bringing home the National League MVP Award in 1969. Over 22 seasons McCovey recorded 521 homeruns and 1,555 RBI. He was the greatest slugger of his era and one of the most feared hitters of all time. 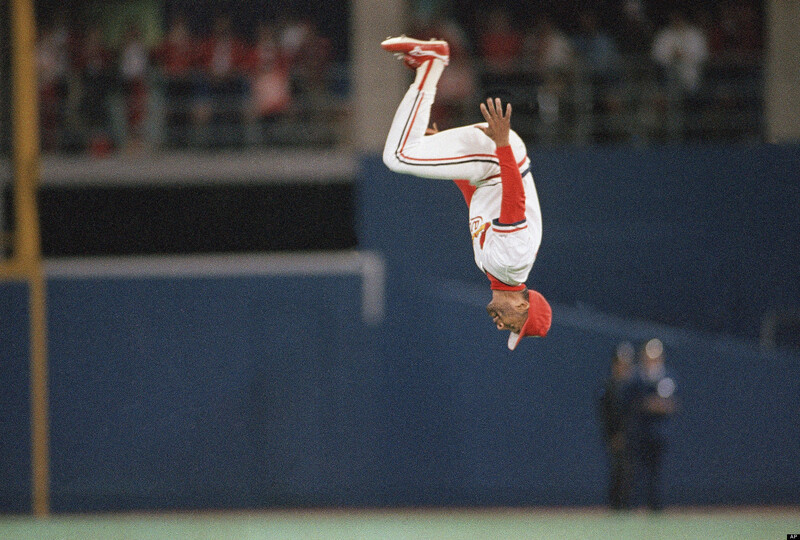 Ozzie Smith’s career batting average was only .262. He only batted .300 one time in his 19 year career. He accumulated 2,460 hits, but only averaged 129 hits per season. He bashed a whopping 28 homeruns and 793 RBI with a dreadful .337 On Base Percentage and even worse .328 Slugging Percentage. 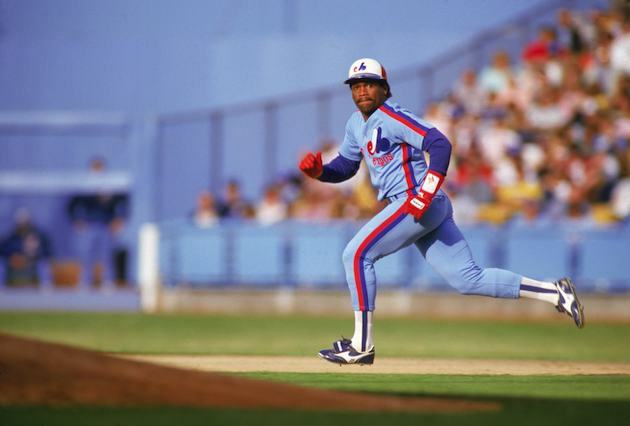 Yes, his offensive numbers were atrocious, but he did accumulate 580 stolen bases, recording 57 in a season twice, and over 40 three other times. But offense isn’t why The Wizard of Oz is on this list. He is on this list for his slick fielding ability. He won the Gold Glove 13 consecutive years from 1980 to 1992. His career defensive WAR is 43.4, good enough for first all-time. Ozzie Smith may have been below average offensively, but what he brought defensively is something that has never been seen before or since. Rod Carew was a magician. He had an uncanny ability to place the ball anywhere on the field. If there was a spot where the defenders weren’t Carew would find it. Employing what seemed like some to be thousands of batting stances Carew managed 3,053 career hits. His seven batting titles are surpassed by only Ty Cobb, Tony Gwynn, and Honus Wagner, and equaled only by Rogers Hornsby and Stan Musial. He hit over .300 in 15 consecutive seasons, achieving a .328 lifetime average. He was the 1967 AL Rookie of the Year, and 1977 AL MVP. Before Carew there were great hitters. Rod Carew turned great hitting into an art form. 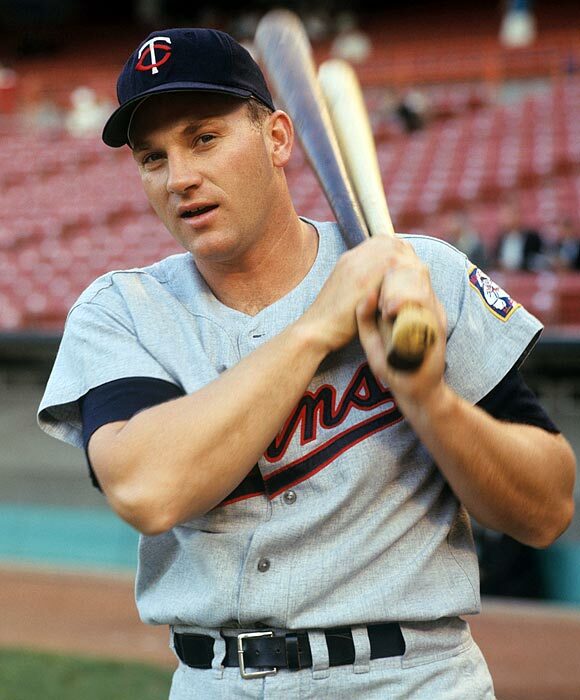 Harmon Killebrew may have been a quiet and soft-spoken man, but he was the epitome of raw power. He hit 40 or more homeruns eight times in his career, and retired with 573 homeruns ranking 11th all time. He developed this raw power by growing up on a farm in Idaho lifting ten-gallon milk jugs. Killebrew led the AL in homeruns six times and RBI three times. There are many legendary stories surrounding Wade Boggs. There is the urban legend claiming that he drank 64 beers on a road trip. There are the stories of his fried chicken habit. Wade wouldn’t take batting practice until 5:17, and he would run sprints at 7:17. He would draw the Hebrew word “Chai” in the batter’s box before each at bat. Perhaps those superstitions are what made him great. Boggs batted over .300 ten consecutive seasons to start his career, and over .325 in nine of those ten years. He finished with a career batting average of .328 and accumulated 3,010 hits over his 18 year career. They called him “Mr. October” because of his ability to hit in high pressure situations in the playoffs. 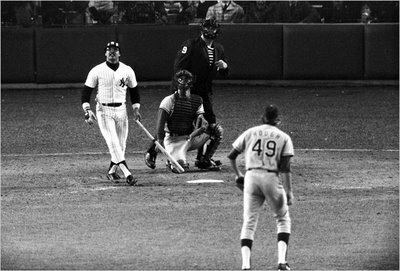 In the 1977 World Series, while playing for the Yankees, Reggie hit five homeruns. He waited until game 4 against the Dodgers before he hit his first homerun. In game 5 he hit another. In the final game of the Series, game 6, he hit three homeruns. The Yankees won the Series four games to two. Reggie Jackson ended his 21 year career with 563 homeruns, which was good for sixth all-time at the time of his retirement. But he was an all-or-nothing type of player. Reggie also struck out 2,597 times in his career, which was over 600 more than the player with the second most strikeouts at the time, Willie Stargell. Jackson was a 14-time All-Star, 2-time World Series MVP, one-time league MVP, and one-time All-Star game MVP. From 2001 to 2003 the Texas Rangers played to a combined record of 216-270, that’s a .444 winning percentage. The Rangers were a last place team during this three year span. This was a last place team with a roster that included Ivan Rodriguez, Michael Young, and Rafael Palmeiro. This was a Rangers team that had past, present, and future All-Stars all over the roster. Nobody could figure out who to blame. They fired their manager Johnny Oates a quarter of the way into the 2001 season, but that didn’t change their fortunes. There was only one scapegoat left; Alex Rodriguez and his 22 million dollar per year contract. In the three years Rodriguez was in Texas his average season was 190 hits, 52 homeruns, 132 RBI, 127 runs scored, and he slashed .305/.395/.615. He won two Gold Glove’s, three Silver Slugger’s, and an MVP. He also earned 66 million dollars in those three years, which is why he is the person most blamed for the failures of those Rangers teams. With a salary like that it is easy to be the villain, but with those statistics is easy to argue that Alex Rodriguez was the best player in baseball over those three seasons. 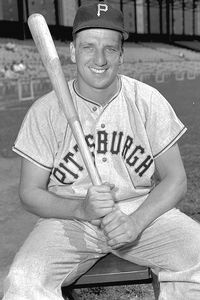 Ralph Kiner came into the league at 23 years old. He was already a legend. Scouts and writers would praise everything about his game. He was fast, he was strong, and his arm was better than everyone but DiMaggio’s. When he got to the majors the Pirates quickly found out that the only part of those claims that was true was the part about his bat. Kiner batted only .247 in his rookie year, but he led the National League with 23 homers. He led the league in homeruns in each of his first seven seasons, the only player in Major League history to lead the league in homers seven consecutive times. Kiner also was the only player in the National League to hit 50 homeruns in two separate seasons until the season was extended to 162 games. Ralph Kiner’s 14.11 at-bats per homerun ranks fifth all-time behind only McGwire, Ruth, Bonds, and Thome. His mammoth homeruns were the greatest attraction in baseball in the early 1950’s. Attendance in Pittsburgh and around the league began to rise to levels never before seen by Major League Baseball. As a result Kiner’s salary was increased from $5,000 per season to $90,000 per season in just a five season span. He was the highest paid player in the National League. When Branch Rickey, the legendary general manager responsible for bringing Jackie Robinson to the Majors and building dynasties in St. Louis and Brooklyn, became the Pirates general manager the team fell to last place. In 1952 the Pirates lost 112 games and Kiner’s batting average dropped dramatically despite still leading the league in homeruns. Branch Rickey immediately blamed Kiner’s large salary for the teams losing record. He dropped Kiner’s salary to $65,000 and traded Kiner to the Chicago Cubs. Once Kiner turned 30 his body betrayed him. He suffered from back problems and was no longer able to hit mammoth homeruns. He retired at age 32, but his ten years were among the best ten years in the history of the game. Not only did he hit 369 homeruns in just ten seasons, but he also average over 100 RBI’s per season, and he walked over 250 more times than he struck out. Today’s sluggers could never possess that type of batting eye and plate discipline. Though his career was short, Ralph Kiner’s impact on the game was legendary. How great was Tony Gwynn with the bat? Besides his .338 career batting average, which is the highest of any player whose career began after 1930, Gwynn had some amazing feats throughout his career. Not only did Tony Gwynn win eight batting titles in his career, but he dominated the competition. He won batting titles by 32 points (1987), 30 points (1984), 28 points (1995), and 17 points (1996). From July of 1991 to April of 1996, a five-year span, Gwynn never had an 0-for-12 at any time. In 20 seasons he struck out a total of 434 times, which is an average of just 29 strikeouts per season. Read that sentence one more time. To put that in perspective, last season Chris Davis hit 53 homeruns with a .286 batting average. Davis struck out 199 times during his breakout year, the most strikeouts in a season in which the player hit 50+ homeruns in baseball history. It would have taken Tony Gwynn almost 7 seasons to accumulate that many strikeouts. 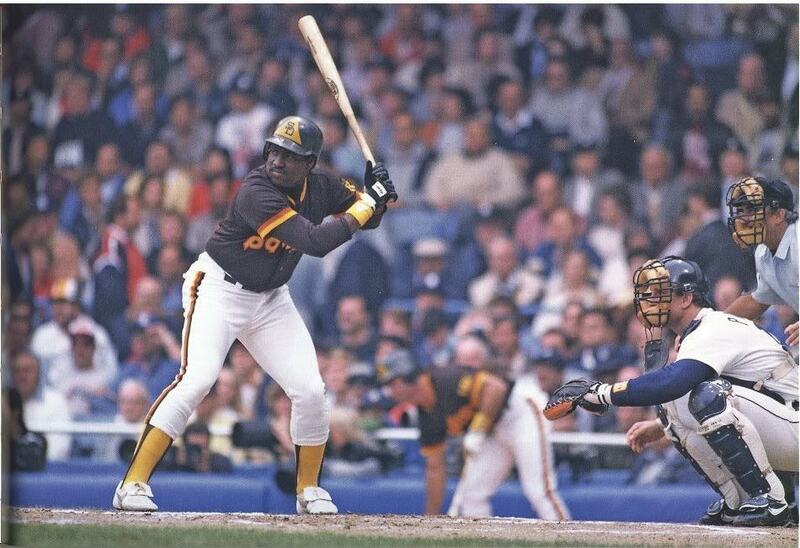 Gwynn struck out twice in a game only 34 times, but he had 45 games with four or more hits. This means that it was more likely to see him get four hits than it was to see him strikeout more than once. Look at Gwynn’s accomplishments against some of the greatest pitchers of his era. He batted .429 against Greg Maddux, and an amazing .444 against John Smoltz. Greg Maddux never struck Gwynn out. Not ever. Not even one time. Neither did Pedro Martinez. Nolan Ryan struck Gwynn out nine times, but Gwynn still managed to hit over .300 against him. In 287 plate appearances against the great Atlanta three of Maddux/Glavine/Smoltz, Gwynn only struck out three times while batting an incredible .381. This isn’t so much a fact as it is an unsolicited advertisement. The next time you are in New York City I highly recommend a visit to the Metropolitan Museum of Art. The Met currently holds the world’s largest publicly available collection of baseball cards with over 31,000 cards on display. This exhibit is a must see for any true baseball fan.